Cape Coral named 24th happiest city in the U.S.
FDLE agents arrested Port Richey WalletHub announced their findings this week. LEE COUNTY, Fla. – If you’re looking for a Florida to live in where you’ll be happy, Cape Coral is the place to be, according to a recent study. 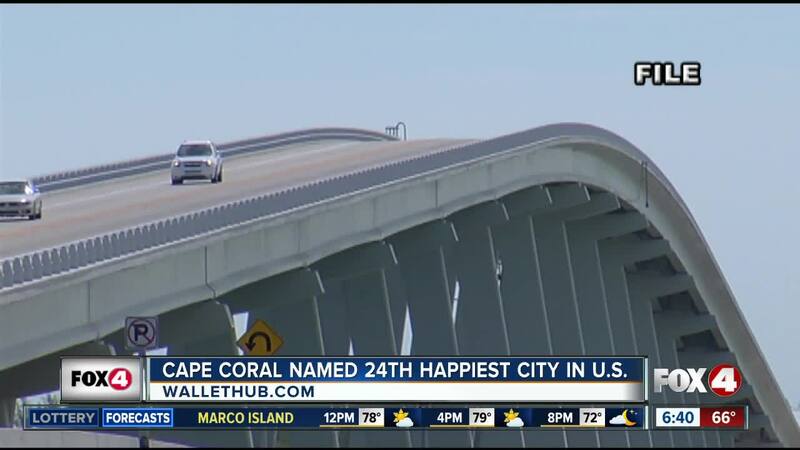 The financial advisor website WalletHub says Cape Coral came in 24th in the country when it comes to happiness. Their rankings of 182 American cities were based on emotional and physical well-being, income and employment, and community and environment. Two other Florida cities also landed in the top 50: Pembroke Pines came in at #28, and Port St. Lucie ranked at 45. Plano, Texas took the top spot, while Detroit ranked the worst.